My advisor’s dad was recently in the hospital with some health issues, and I wanted to make a card to let her know my husband and I were praying for her and her family. This card was the final result. Please forgive me for not yet having an awesome set-up for taking pictures of my cards. Someday I’ll have my craft room all organized and settled and have a corner for getting great images of my projects! I used an old Stampin’ Up Sale-a-bration (2011) set called Sweet Summer for the foliage, and Sizzix framelits to make the window and white shape on the inside. 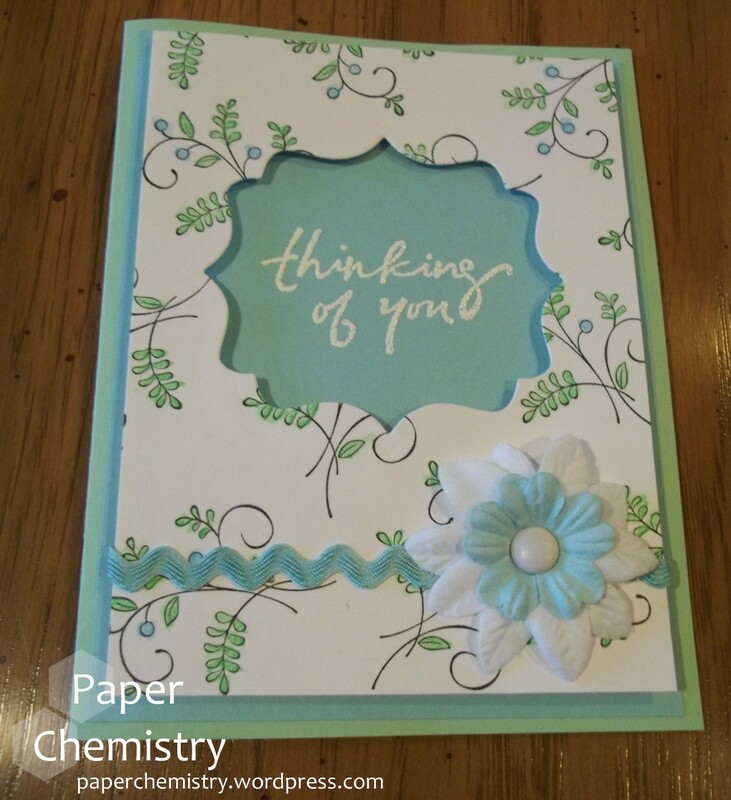 The “Thinking of You” sentiment came from this set by Inkadinkadoo. 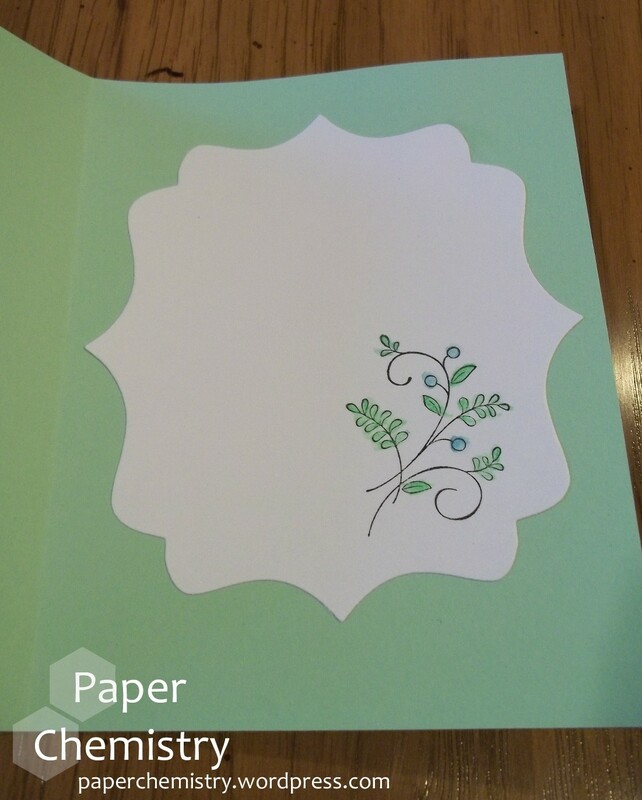 I stamped the foliage with black StazOn ink and used watercolor pencil to color in the leaves and berries (flowers?). Do you shop the dollar bins, clearance aisles, and floral departments to build your accent collections? Do you have any good tips?